Learn a whole new alphabet and way of writing by taking Japanese. Practice conversing with other Japanese speakers while you learn about their rich culture. Japanese is one of the less commonly taught languages yet is considered the gateway to other Asian languages. Learning Japanese shows employers you are up to any task and makes you a memorable job candidate. You can take up to four semesters of Japanese with Elementary Japanese I and II and Intermediate Japanese I and II. Your skills in this second language will be highly sought after and quite marketable, as few native English speakers know Japanese. Your Japanese classes will have a limited number of students and will be packed with interaction. Native (or near-native) Japanese-speaking professors encourage work within small groups or one-on-one. Take advantage of free tutoring in the Language Resource Center (LRC). Increase your fluency by using the LRC’s computer-based language programs. Participate in the daylong Kansas City Japan Festival in the fall. Befriend native Japanese-speaking students through the International Club. Perfect your Japanese by studying abroad in Japan. One of the safest and most modern countries in the world, Japan offers something for everyone with an abundance of entertainment, arts, music, shopping and sports. You can study for a semester or a year. 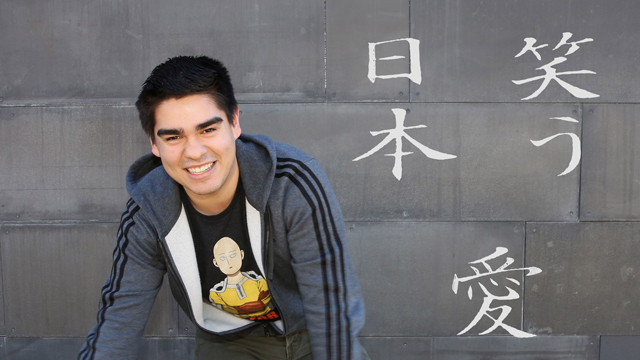 Studying Japanese could increase your opportunities for a job, scholarship or fellowship. Japanese is the third-largest language community on the internet, with more than 100 million speakers connected to the web. Knowing Japanese links you to innovators, designers and creative engineers of cultural and material exports such as anime, Sony PlayStation, Nintendo, Hello Kitty, Sudoku, karaoke, martial arts and origami. You could have a lucrative career as an online Japanese translator or as a translator in the U.S. for thousands of tourists and businesspeople who visit. You also might work for an international Japanese company such as Sony, Toshiba, Sanyo, Canon, Honda or Toyota. Two years of Japanese meets the foreign language requirement for many bachelor’s degrees. Most Japanese courses at JCCC are guaranteed to transfer to all Kansas public postsecondary institutions.